is an independent consultant with experience in display and optical-storage technologies, and he also assists in the prepration of patent applications. Since1963 he has accumulated credit for over 60 technical papers, 33 patents and 2 books. Up to July of 2000, he was Lead Scientist of the Information Storage Project in the Panasonic Information and Networking Laboratory at Panasonic Technologies, Inc. in Princeton, NJ. Dr. Nelson joined PTI in November of 1997 and successfully represented Panasonic positions on contentious DVD standards issues in NCITS and ECMA. He also established a research program in optical storage at PTI, supervised one associate, and prepared semi-annual summaries for the sponsor and for PTI management. Dr. Nelson successfully promoted a MultiRead 2 project in the Optical Storage Technology Association (OSTA) and currently represents Panasonic Technologies on OSTA's Board of Directors and on the Executive Board of the International Committee for Information Technology Standards (INCITS). He also chairs INCITS/B11, the technical committee for "Optical Digital Data Disks" that recommends US national-body positions on ISO/IEC JTC 1/SC23 "Digital Storage Media for Information Interchange." Terry was born in Sioux City, Iowa in 1939. He received the B.S. degree in electrical engineering from Iowa State University in 1961, the M.E.E. degree from New York University in 1963, and the Ph.D. degree in physics from Iowa State University in 1967. During 1968-69 he held an Atomic Energy Commission Postdoctoral Fellowship and co-authored a graduate level text on E&M. At Bell Labs during 1961-1963, Terry wrote one of the first papers on a method of steering a beam of light that he called "digital light deflection." After completing his education in 1969, he rejoined Bell Labs and worked briefly on the theory of mode locking in lasers. He subsequently became involved in the development of magnetic bubble devices and made notable contributions to the nucleate generator, magneto-resistance detector, ion-implanted propagation patterns, and materials with wide temperature ranges. He was designated a "Distinguished Member of Technical Staff" in 1982. Upon joining Bellcore in 1984, Dr. Nelson changed fields and began to study low-voltage phosphors for use in plasma displays. At Red Bank, NJ from mid-1986 through November of 1989, he concentrated on a novel "active-backlight" display configuration that could eliminate the need for active-matrix components. Working in Morristown, he helped integrate displays into multimedia communications systems through September 1993. He is a co-inventor of Bellcore's Electronic Panning Camera, which won an R&D 100 award in 1993 and the New Jersey R&D Council's Thomas Alva Edison Patent Award in 1995. 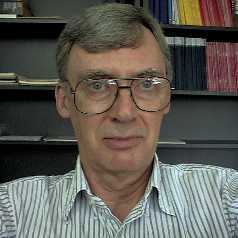 From September 1993 until his retirement from Bellcore in August 1997, he was a member of the Applied Research Program Development Department. His book on Display Technologies was published by World Scientific Publishers in February, 1997. Dr. Nelson has been active in the Society for Information Display (SID), most recently in 1996-97 as Chair of the Mid-Atlantic Chapter. During 1994-96 he served on SID's Executive Committee as Regional VP, Americas. He previously served as Director of the Mid-Atlantic Chapter for one year and as SID's Membership Committee Chair for three years. He has also served on the SID Symposium Executive Committee for several years in the Awards, Information, and Seminar positions, and he was Program Chair of SID'94 and General Chair of SID'96. He presented the opening seminar "Electronic Information Display Perspective" at SID'98 in Anaheim, CA on Monday, May 18, 1998. In June of 1999, he received a Chapter Service Award for "continuing and outstanding service to the Mid-Atlantic Chapter of SID." In May of 2003, he received a Special Recognition Award "For sustained and dedicated service to SID both at the chapter level and the international level."